After her summer cruise to Great Barrier. Bay of Islands and around the Hauraki Gulf, her owner, Scott Perry, has secured a permanent berth in Whangarei. Kuparu can now be viewed in the Town Basin, adjacent to the Whangarei Art Museum and Claphams Clock Museum. On 1st February 2005, Gubb Naval Tailors ceased trading at the Devonport Naval Base. Cliff Gubb joined the Navy in 1935 and served in several ships including LEANDER and GAMBIA. He commenced a tailoring apprenticeship after the war and then set up as the Base Tailor in 1947 until his death in 1990. 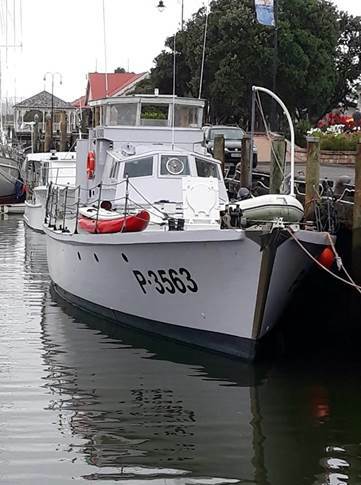 His nephew, Trevor McKeown, then an Instructor Officer in the RNZN, took over the business until its closure 15 years later, after 57 years association with the RNZN. 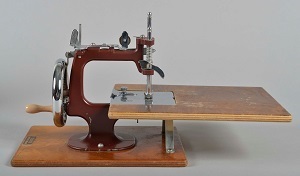 A hand-cranked blind stitch sewing machine mounted on a wooden plinth. This was used for many years by Cliff Gubb, ex RNZN tailor, for making and repairing uniforms.